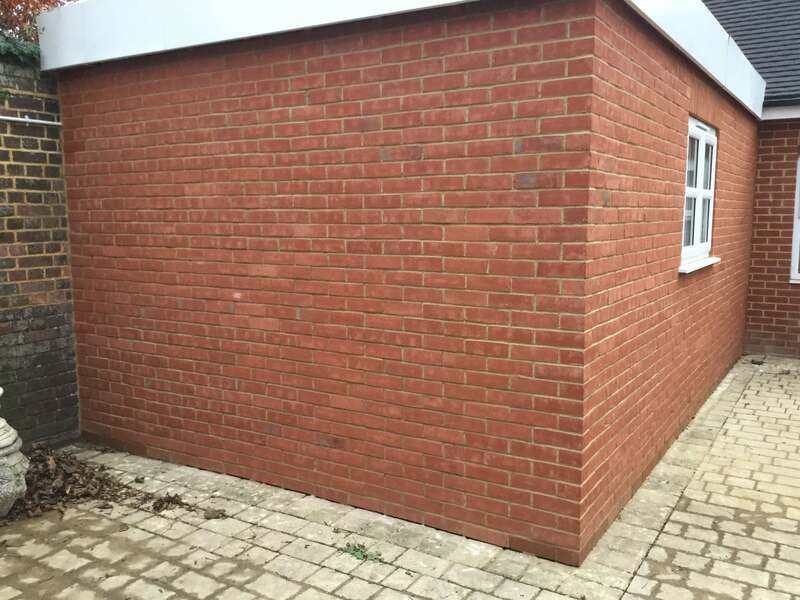 Thanks to our customer A M and our Preferred Installer, Slips On Site Ltd, we can show you our traditional clay brick slips on a completed project. 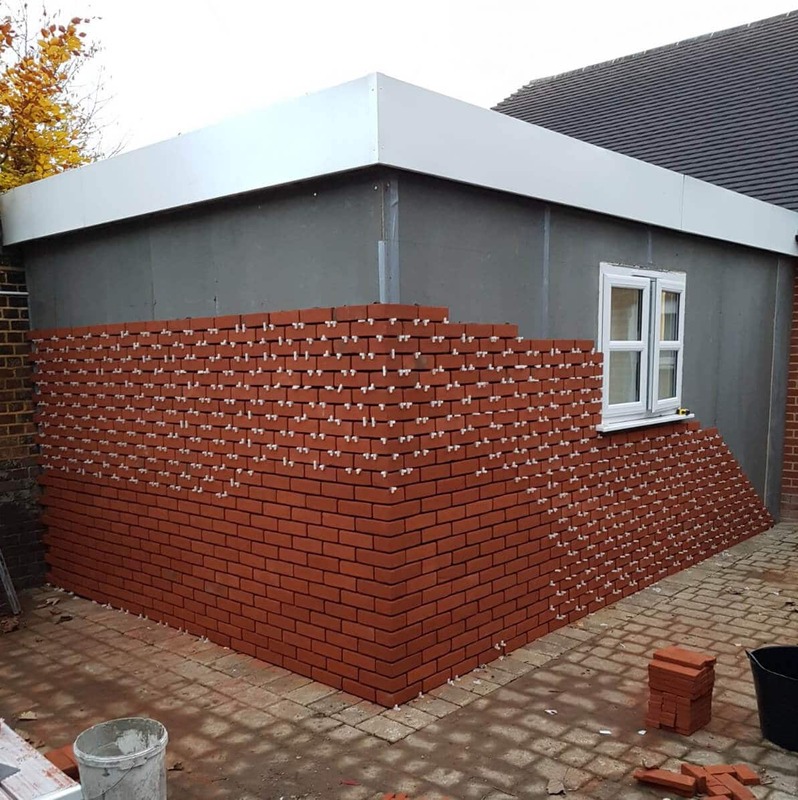 A.M has used our Irish Rose traditional clay brick slips to clad a modular construction extension POD to an existing brick built building. 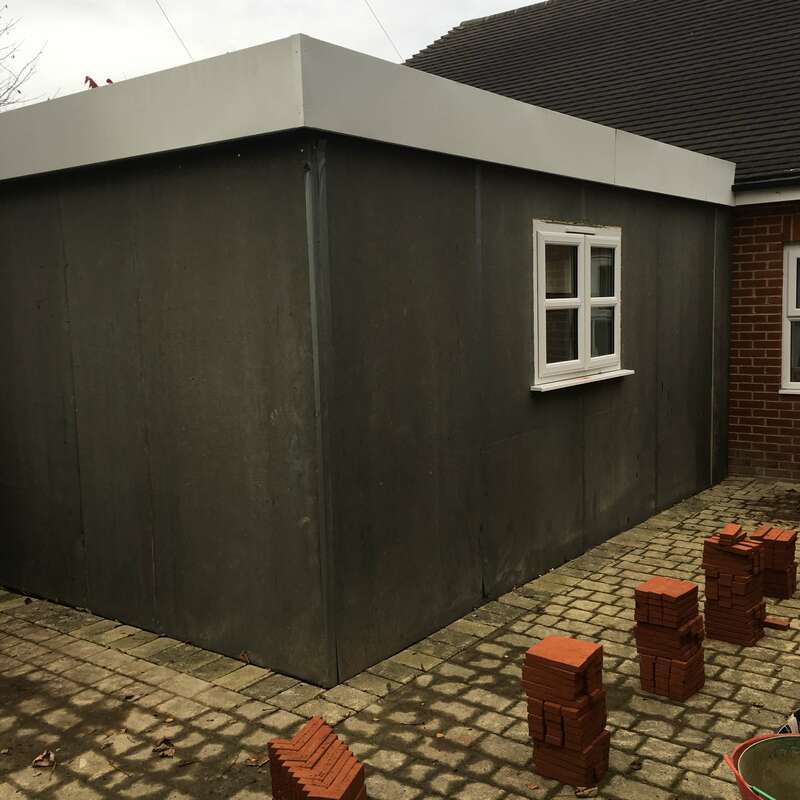 The customer installed cement panels on the exterior of the property and then the installer bonded the brick slips onto the cement panels using a specialist external cement based adhesive, in a free hand lay. They followed up the bonding by using a lime pointing mortar. It is extremely important to ‘Contact Us’ to discuss our products and installation methods before placing an order. I was looking online for different cladding options for the modular buildings we manufacture. Brick slips came to my mind and I found Higgins Cladding’s online store and made contact. They have a brick matching service and will look at CAD drawings to ensure the correct quantity and type of brick slips are ordered. They also supply a good range of adhesives at great prices. Due to our budget and time restraints on the project Neil at Higgins Cladding gave me various options of red brick and their costings to choose from. The clay brick matching service can take up to 48 hours but I was impressed with the selection and opted to purchase the Irish Rose bricks. Higgins Cladding then sourced the bricks and got them cut down into brick slips and corners. As for our experience ordering with Higgins Cladding the product was as advertised and we were very pleased with the deal given. Our traditional clay brick slips have been sourced from award winning brick works. We purchase full size bricks manufactured by master brick makers and then get them cut down into brick slips, corner slips and header slips. Brick slips are thin sections of brick that when installed replicate the look of conventional brick work. They can be used both internally and externally and are supplied as individual units to be fitted to most substrates using a suitable adhesive and then pointed up. 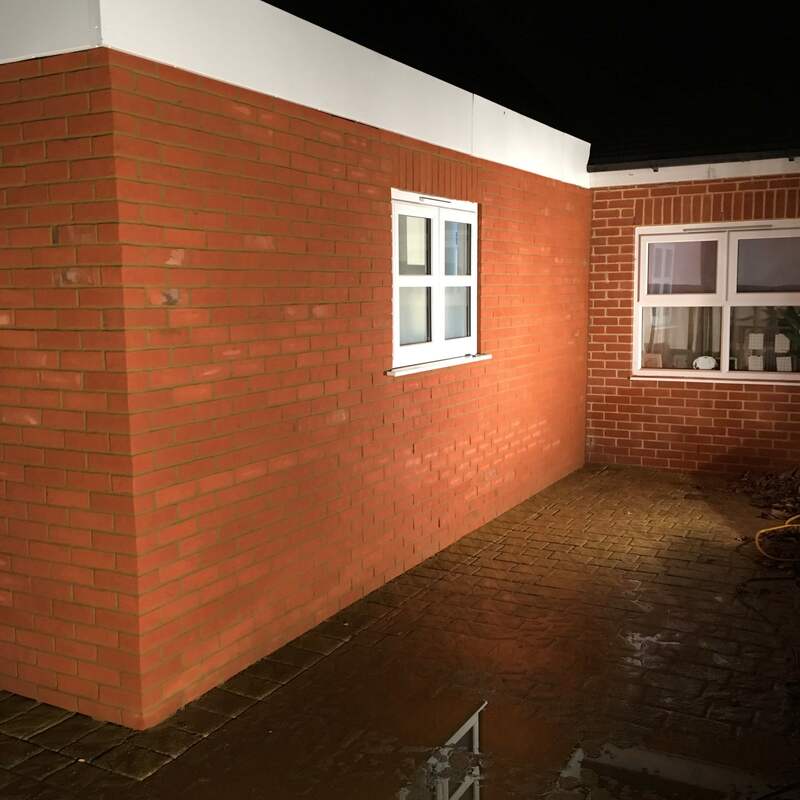 Traditional clay brick slips have become an increasingly popular choice, particularly for use with external insulation systems where people still want a real brick facade alongside increased insulation performance and a reduction in wall thickness. Higgins The Cladding Store caters for different tastes and creative minds.